← Out of Context … Again! It’s Time to Build a House! At long last we are now able to experience some tangible progress on our new house project! Last Friday (August 29, 2008) our builder was able to obtain the building permit. This is big, big news as there were any number of small administrative issues that needed to be cleared up at city hall. It appears the people that sold us the land have some other bills to pay, and even though we own our lot free and clear we still ended up getting slowed down as the details were being sorted out. I am quickly learning that there is much more to building a house than just pounding nails. Then today I was taking the kids to the park and we decided to make a quick run to the lot … just to peek! And there they were. Four small stakes in the ground designating the corners of our lot! Progress! Honest-to-goodness progress!!! So that is hopefully a sign that the hole will be dug this week and the foundation will be established. Weather permitting (it rained pretty hard tonight) and God willing we’ll be able to make some significant progress this week. The picture included with this post is pretty fun too! 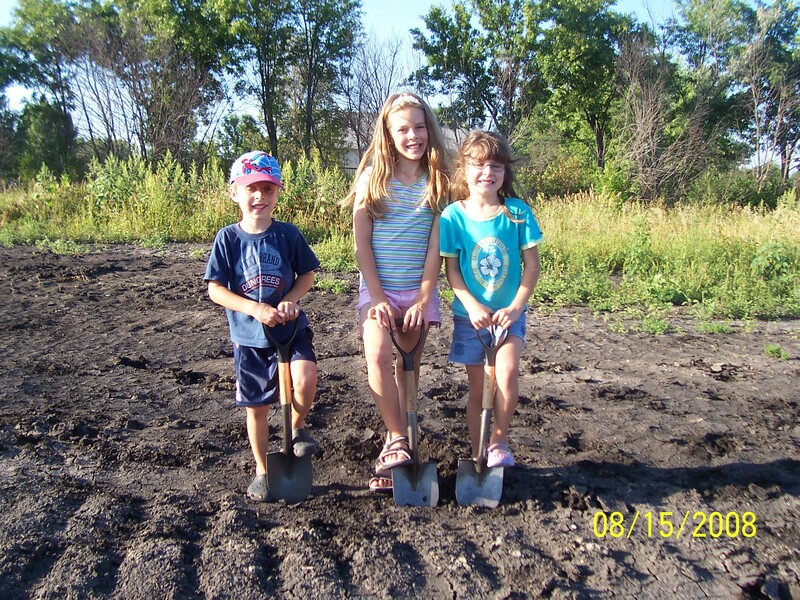 My partner Mike Stevens gave us three small shovels for our kids to use for a groundbreaking ceremony and that was exactly what we did! We went out to our lot, had a quick family prayer, and then let the kids dig in. They had a blast! And then to bring us back to reality, there’s the special assessment notice we just received in the mail. Oh yeah, we have to pay for this fun project too. Time to get back to work and sell more websites!